The monks and farmers of France have spent about a thousand years identifying the grape varietals that best fit their lands. Most grape-place pairings were settled centuries ago, and now the happy marriages — Syrah in the Northern Rhône, Pinot Noir and Chardonnay in Burgundy, Sauvignon Blanc in Sancerre — produce many of the world’s finest expressions of each varietal. And so it is with Merlot and Bordeaux. Sideways notwithstanding, Merlot has always played a starring role in the finest wines of Bordeaux, particularly in the Right Bank’s famous towns of Pomerol and St-Emilion. The combination of limestone and clay soils, excellent drainage, and early ripening makes Merlot grown there unique and delicious. 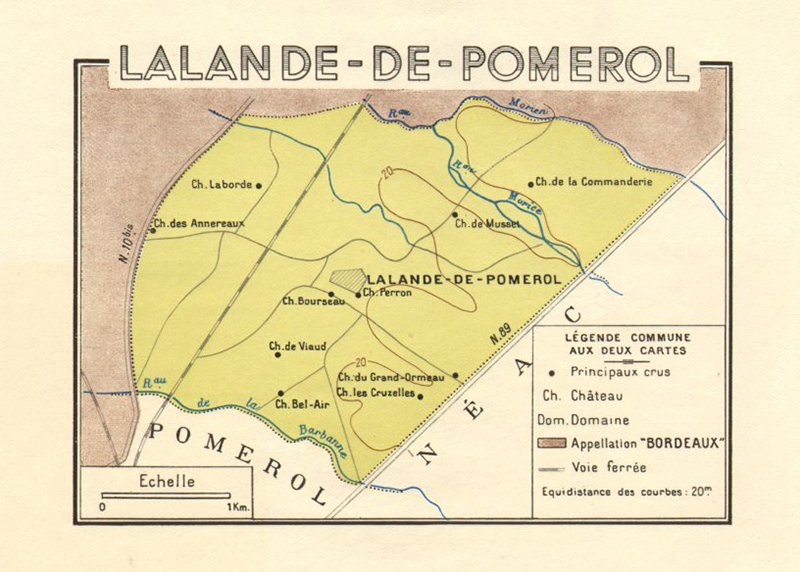 The 2015 Grand Ormeau Lalande de Pomerol is dark, juicy, and very mouthfilling. Look for notes of licorice, tobacco, plums, and cinnamon. The mouth is smooth, ripe, and velvety, perfect for a well crusted steak from a cast iron pan. Or if you’re an autumn griller, pair this with a burger and football on a Sunday afternoon. Next post: Got tomatoes? You’ll need a bottle of this.